Is the leading technical magazine covering exploration, drilling and production in the global upstream industry. 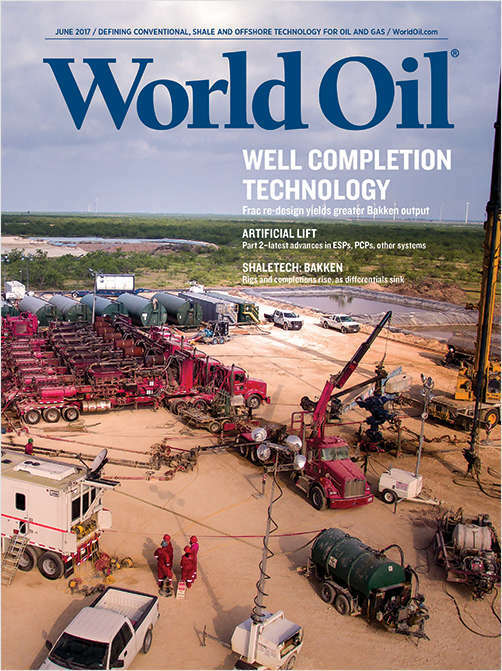 The magazine equips readers with operator-oriented technical articles, regional reports, columns and dedicated reviews of specific shale plays each month. Do you wish to receive a FREE subscription to World Oil? How do you wish to receive World Oil? Please check the one item which best describes your firm's primary business activity. I am directly involved in an alliance or partnering program/project with an E&P co.
Drilling Contractor Svcs. Offshore Svcs. & Equip. Drilling Rigs & Rig Equip. Transportation & Construction Equip. Cementing Equip. & Svcs. Well Completion/Stimulation Svcs. Engines/Pumps/Compressors/Turbines/Generators Gas Processing Equip. & Svcs. Well Maintenance Equip. & Svcs. Complete and verifiable information is required in order to receive this subscription. • Geographic Eligibility: USA, Mexico, & Selected International. • The publisher determines qualification and reserves the right to limit the number of free subscriptions.